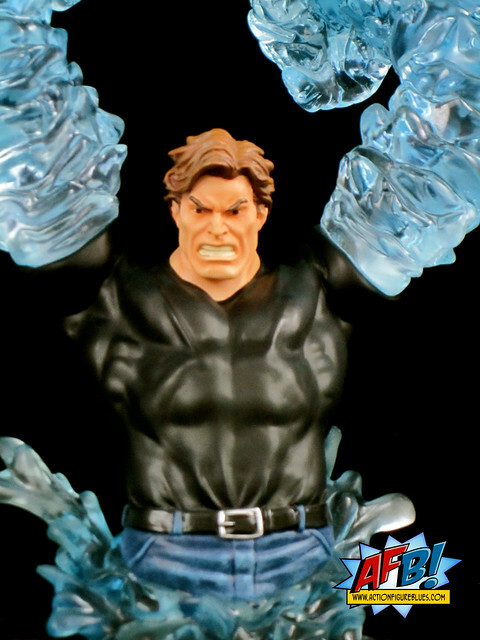 Bowen Designs does a number of website exclusive items each year, but their ordering system for the Bowen Exclusive Hydro-Man Bust, which I’m reviewing tonight, went one step beyond that. As well as being a web exclusive, Hyrdo-Man was made to order, meaning that only the number ordered were produced. This explains the unusual edition size of 483. As far as I’m concerned, this also means there are 483 extremely lucky people out there, as this is a truly amazing piece. The amazingly talented Kucharek Brothers can always be counted on for a top quality sculpt and something a little bit out of the box to go with it, and it is really great to see them doing busts for Bowen as well as their excellent statue work. Hydro-Man is the Kuchareks at their best, and the end result of this piece is one I am very glad to own. 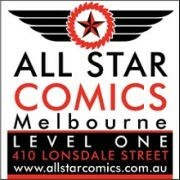 These days Morris Bench sports a more modernised costume for his crime fighting, but his iconic look was a black t-shirt and jeans long before Superboy appropriated it for himself. It’s this look that Bowen has chosen, which means he will fit nicely with the majority of Bowen’s Spider-Man Family (and Foes) collection. 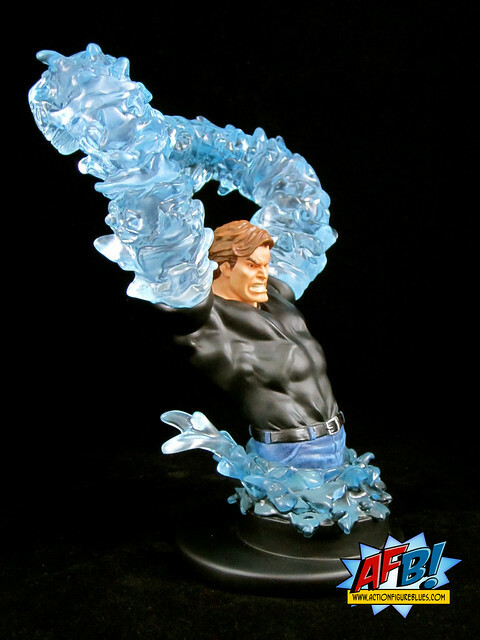 The design of this piece, with Hydro-Man’s water arms up behind his head ready to pounce, is genius. It does make him a bit of a space hog for collectors short on shelf space, but this piece is worth making a focal point. Apart from the overall concept and design, the making of this piece is the use of translucent materials for the water elements of the statue. 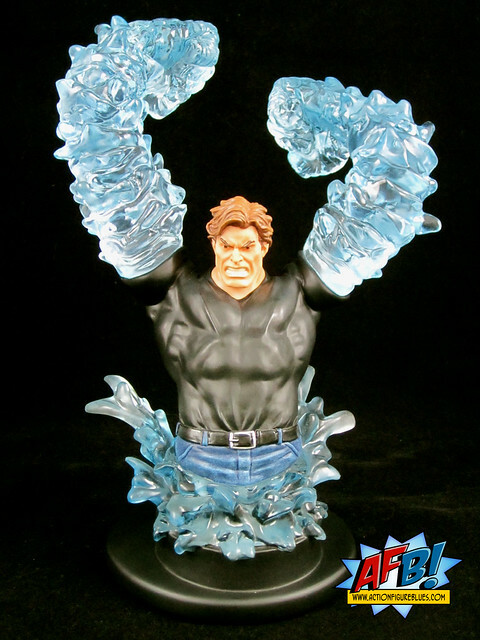 There is an incredible level of detail in Hydro-Man’s giant water arms, and the translucent material creates a stunning visual effect. 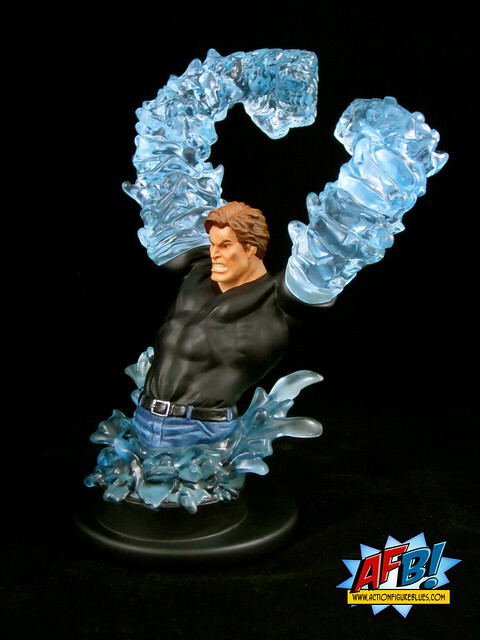 Many Bowen collectors tend to be bust only or statue only, and there continue to be many requests for a Full Size Hydro-Man Statue. While this could be done magnificently, I almost don’t see the need. There is nothing “mini” about this bust - it stands nearly as high as some statues! When you consider Hydro-Man’s power and take into account the manhole base, it’s easy to imagine this is Hydro-Man coming out of the ground and put him alongside your Full Size Spidey collection, as I have done. The pickings have become a bit slimmer for Bowen bust collectors in recent times, but it’s some comfort to know that when the busts do come, they are complete home runs. With the move towards more oversized busts that Bowen seems to be making, even the most die hard statue-only collector really needs to give these great pieces consideration! You can see more pics on Facebook, and discuss this at the AFB Forum!